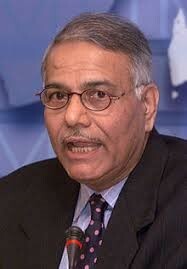 Former Union Minister, Yashwant Sinha. ST photo. GUWAHATI: Former Union minister, Yashwant Sinha has assured the Northeast of solidarity and support for the movement against the Citizenship (Amendment) Bill, 2016, saying that the “rest of India was with the region” at a time when the Centre was intent on going ahead with a contentious legislation. “The Citizenship (Amendment) Bill, 2016 violates the Assam Accord and is against the ethos of the country. An Accord that was solidly arrived at by a previous government cannot be changed by another government. Therefore this Bill has nothing that makes it eligible to be become a law. I assure you that the rest of India is with the Northeast and its movement against CAB,” Sinha, who quit BJP last year, said during a programme organised by Asam Nagarik Samaj here on Sunday. A former finance minister under Prime Minister Chandra Sekhar and Prime Minister Atal Bihari Vajpayee and also a former external affairs minister, Sinha came down heavily on the policies of the Narendra Modi government, particularly demonetisation. “This government has ruled over India for five years on the basis of 31 per cent of votes while 69 per cent votes were cast against the incumbent government in 2014. Therefore India should not be judged by this government which in any case will not last very long,” Sinha said as the chief speaker during the course of the programme – State of the Nation and way Forward – at the ITA Centre here. “If the present PM were to come back then whatever little democracy we are seeing in this country will also vanish. There is today an undeclared emergency in the country and an overwhelming atmosphere of fear in all sections of society. Therefore it is very important to stand up and save democracy,” he said. Sinha said that owing to demonetisation, several production centres in the small and medium enterprise sector had to close down. “The annual budget allocation under MNREGA had to be raised from Rs 42,000 crore to Rs 62,000crore because demand for jobs increased post demonetization. Even the Centre for Monitoring Indian Economy, Delhi stated that 1.10crore employment opportunities were lost in 2018 because of demonetization,” the 81-year-old said. Sinha also criticised the “Maha Milawat” comment by Modi saying that even Atal Bihari Vajpayee’s government was a coalition which performed. “It would wrong to say that coalition governments do not work and only single majority governments work,” he said. Sinha further alleged that the incumbent government has had an influence on institutions such as the Reserve Bank of India, Central Bureau of Investigation and even the Election Commission of India.